Earlier, the Indian currency opened at a fresh record low of 72.18 to the dollar, down 45 paise compared to Friday's close of 71.73 level. The currency witnessed intense volatility and hit all-time low of 72.64 during morning deals. 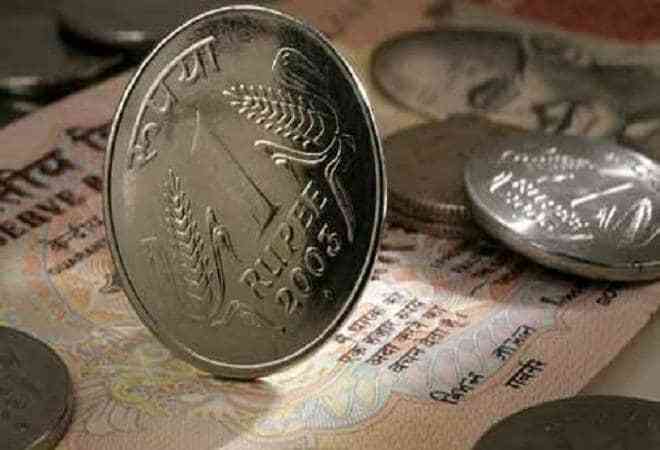 Extending its free fall, the rupee weakened further to hit a fresh low of 72.64 against the US dollar, falling 91 paise in late morning trade today on rising crude oil prices, strengthening dollar and a widened current account deficit. Earlier, the Indian currency opened at a fresh record low of 72.18 to the dollar, down 45 paise compared to Friday's close of 71.73 level. The currency witnessed intense volatility and hit all-time low of 72.64 during morning deals. "RBI is not trying to defend any level strongly today," said a senior forex analyst at a state-run bank. "The next strong technical resistance is at 72/50-72.75 (to the dollar) level." The Indian rupee has depreciated 13 per cent so far in 2018. Meanwhile, the 30-share BSE Sensex fell 372 points or 0.97 per cent, at 38,022 level at 12:11 pm. The Nifty too was trading 116 points or 1% lower at 11,473 level. India VIX rose 7.07 percent to 14.8 indicating further correction in equity markets. 10-year govt bond yield dramatically rose to 8.14 up 1.46%. High Indian bond yields due to worsening inflation outlook also added some amount of pressure. Last week, Finance Minister Arun Jaitley attributed the fall in rupee to global factors and said there was no need for panic or knee-jerk reactions. He said the Reserve Bank was doing whatever is necessary to deal with the situation. International credit rating agency Moody's Investors Service said in a report that sustained weakening of the rupee was "credit negative" for Indian companies which generate revenue in rupees but rely on US dollar debt to fund their operations. "Nevertheless, most rated India-based corporates have protections in place-including natural hedges, some US dollar revenues and financial hedges -to limit the negative credit implications of a potential further 10 per cent weakening of the rupee to the US dollar from Thursday's (September 6) rate (of 72.11 a dollar)," Moody's VP and Senior credit officer Annalisa DiChiara said.